Intervengono: Michel Atiyah, Piergiorgio Odifreddi , Edoardo Nesi, Rossano Ercolini, Yi Munyol. Concerto: Andres Arce Maldonado e Claudio Giovannesi. 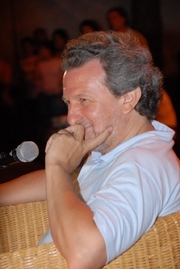 Piergiorgio Odifreddi is currently considered a "single author." If one or more works are by a distinct, homonymous authors, go ahead and split the author. Piergiorgio Odifreddi is composed of 6 names. You can examine and separate out names.